The Owens Valley Mosquito Abatement Program (OVMAP) confirmed Tuesday that some mosquito samples trapped last week tested positive for West Nile Virus. This is the first occurrence of West Nile Virus in Inyo County since 2011. Prior to that, West Nile Virus had been detected periodically in the Owens Valley after first being discovered in our area in 2004. During that period, no human infections were reported, but 3 horses died after being infected with West Nile Virus. The three positive samples in Inyo County come during the same week that 214 samples were positive for the disease statewide. “For every 100 people who are bitten by a West Nile Virus-carrying mosquito, only 20 are risk of contracting West Nile Virus, and of those, fewer than 1% are likely to experience life-threatening reactions” according to Inyo County Health Officer, Dr. James Richardson. Nevertheless, the public is urged to take precautions discussed below. Likewise, while horses are more at risk for contracting the disease, vaccines are available and horse owners are urged to get their horses vaccinated. For more information, please contact your veterinarian. According to OVMAP Interim Manager Rob Miller, “the positive samples were collected to the southeast of Bishop, in the same trap location that West Nile Virus has been found in prior years”. About 20% of those who are bit by an infected mosquito will experience flu-like symptoms that last a few days and resolve on their own. Over-the-counter pain medications can help reduce fever and relieve some of the symptoms. About 1 out of every 150 people who contract West Nile Virus will develop more serious neurologic illness. If you develop symptoms of severe WNV illness, such as unusually severe headaches or confusion, seek medical attention immediately. Pregnant women and nursing mothers are encouraged to seek medical attention if they develop symptoms commonly associated with WNV. Using mosquito repellent. The Environmental Protection Agency (EPA) recommends using insect repellents containing DEET, Picaridin, or IR3535. Some oil of Lemon eucalyptus and Para-Menthane-Diol products provide similar protection. Avoiding outdoor activities if possible during dawn and dusk. This is especially important during the first two hours following sunset, when species that spread West Nile Virus are actively biting. 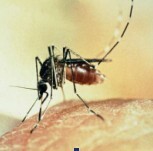 To find more information on West Nile Virus, visit the Centers for Disease Control WNV page at https://www.cdc.gov/westnile/index.html, or the California West Nile Virus website at http://www.westnile.ca.gov/. Mosquito control applications will be performed south of Bishop and in the Lone Pine area on Thursday 7/27/2017 and again in the Old Wilkerson area on Friday July 28, 2017. Crews will be using truck mounted fogging equipment to control excessive adult mosquitoes. Fogging operations are planned to start July 27, 2017 and July 28, 2017 around 4:00 am and be finished by 7:00 am depending on weather. If it is too windy, fogging will not work and will need to be postponed. Increased water spreading has increased the number of biting mosquitoes in our communities. Protect yourself from mosquito bites by wearing long pants and long sleeved shirts when you are outside particularly in the morning and evening hours. Of the products registered with the Environmental Protection Agency (EPA), those containing DEET, Picaridin, IR3535, and some Oil of Lemon Eucalyptus and Para-Menthane-Diol products provide longer-lasting protection.